In the market for DPC systems, EPDM systems are playing an ever more decisive role. An EPDM sheet has many advantages for use as strip or lead alternative, it can be installed in large lengths and have a durable fixation. Awkward situations belong to the past. However, it is important to make correct choices in thickness and adhesive systems. Savings in this area can afterwards be costly if the construction is completed and the wrong materials are chosen. So there is a great difference between the various suppliers and related products, adhesives and accessories. Therefore it is important for us to provide clear and detailed installation guidelines for the fitting of our EPDM systems. We would like to convince you of our knowledge and added value, in order to build a long lasting relationship. If there are any questions, please contact us. 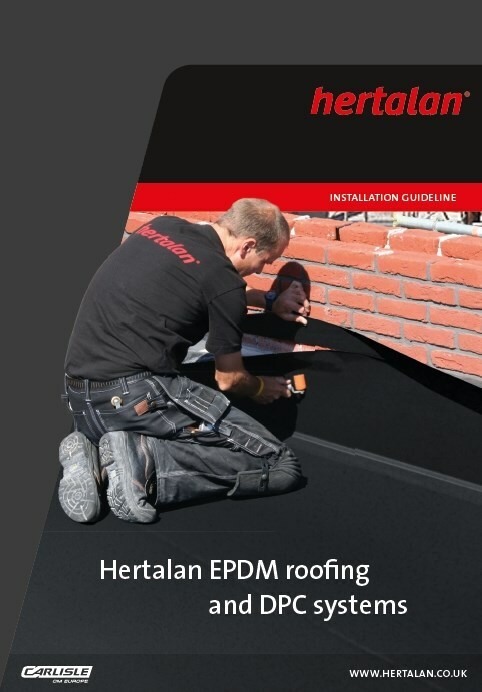 Download here the Hertalan EPDM installation manual. Hertalan Youtube channel provides a comprehensive overview including installation- and informative films/animations.